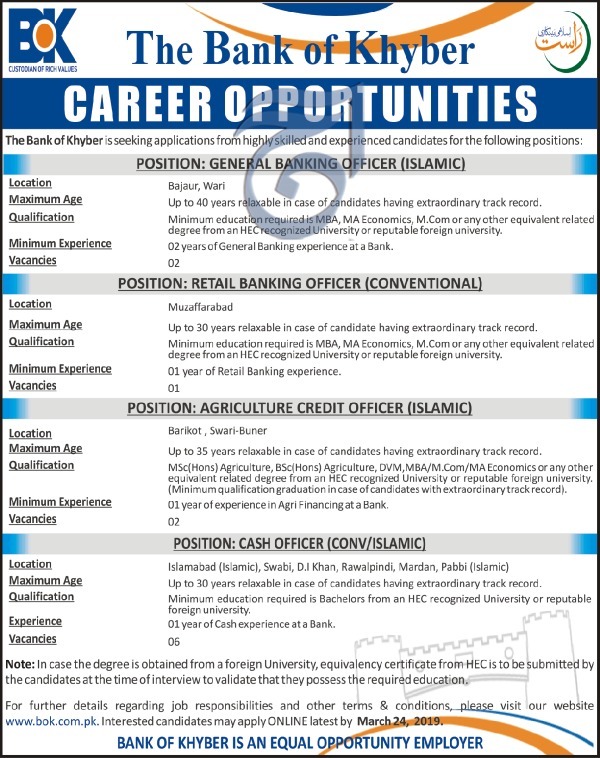 The Bank of Khyber (BoK) is seeking applications from highly skilled and experienced candidates for the following positions. Note: In case the degree is obtained from a foreign university, equivalency certificate from HEC is to be submitted by the candidates at the time of interview to validate that they possess the required education. For further details scroll down to the image below.